12/28/15 UPDATE: Thank you to all of the applicants. The Executive Director position has been filled and will be announced shortly. Are you a dog-lover who is passionate about enhancing the quality of lives through the power of the bond between dogs and humans? Paws and Think, Inc. is seeking a passionate and mission-driven Executive Director to lead our organization through a period of continued growth. Initially the Executive Director will work part-time, approximately 20 hours per week; however, the organization’s goal is to expand the position to full-time (40 hours per week) in the near future, with a corresponding increase in salary. The Executive Director reports to the Board of Directors and works primarily from home with flexible hours. 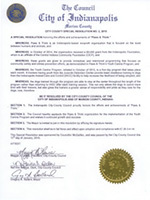 In addition to program management and partnership development, the Executive Director will travel locally and work evenings and weekends to accommodate activities such as monthly Board meetings, volunteer engagement and representing the organization at public events in Central Indiana. Paws and Think, Inc. is a non-profit organization incorporated in 2001 that is dedicated to enhancing the quality of life for the community by using the power of the human-animal bond. 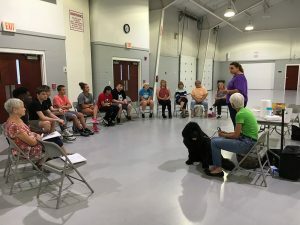 Our volunteers and volunteer handler/dog therapy teams work in partnership with Central Indiana schools, libraries, detention centers, youth agencies, humane societies/shelters and more. We are proud to be honored with one of the first Top-Rated Awards of 2015 from GreatNonprofits.org. Expand revenue generating and fundraising activities to support program operations and enable the Executive Director role to become a paid full-time position. Increase awareness of the organization through communication to volunteers, program partners, external relations and media. Develop and promote new and existing relationships to garner new program and support opportunities. Actively engage and energize Paws and Think, Inc. volunteers, board members, committee members, partnering organizations, and supporters. Develop, maintain, and support a strong Board of Directors: serve as ex-officio of each committee, Spearhead strategic development and expansion of programs and operations. Regularly communicate with the Board of Directors regarding the current status of services being offered and the development of new programs through written reports, attendance at Board meetings, participation in Board activities and contact with individual Board members. 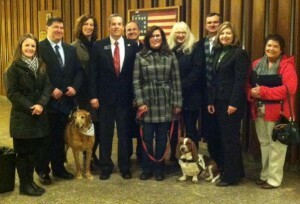 Lead, coach, develop, and retain Paws and Think, Inc.’s key volunteers and contract employees. Ensure effective systems to track progress of core programs, and regularly evaluate program components, so as to measure successes that can be effectively communicated to the board, funders, and other constituents. Participate in development and management of a realistic budget to sustain core programs and expand operations to include a full-time Executive Director and one or more part time administrative positions. Excellent interpersonal skills and the ability to work effectively in collaboration with diverse groups of people including, but not limited to, board members, donors and volunteers. Our ideal candidate will be committed to Paws and Think, Inc.’s mission and demonstrate a high level of passion, integrity, positive attitude and self-direction. (S)he will be able to effectively convene a diverse group of stakeholders to create a strategic plan for Paws and Think, Inc. and develop the resources needed to execute it. In addition, the ideal candidate will be effective in fundraising, recognizing new opportunities and developing them into ongoing, sustainable revenue growth. 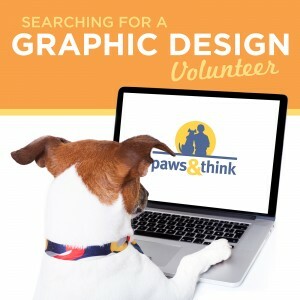 How to Apply: Interested candidates should send their resumes to: ExecutiveDirectorSearch@nullpawsandthink.org. No phone calls, please. Vote for Paws & Think as we compete for a chance to win $10,000! We are so excited to be competing in the 2015 Brackets for Good tournament which tips off TODAY! The six-round, single-elimination tournament begins, with the winner being announced on April 3rd for a prize of $10,000! Votes are cast by donations made through the BracketsForGood.org website. One dollar equals one vote. So spread the word and get your game face on! Don’t delay! Score Points for Paws & Think and help us advance to the next round, at which point the scores are reset and the voting process begins again! 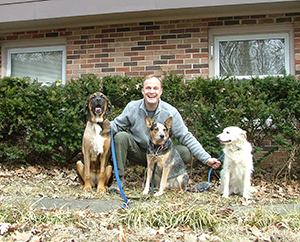 Paws & Think is ringing in 2015 with a new Board President: longtime volunteer and lifelong dog-lover Brett Nelson. Brett is a partner at the law firm of Plews Shadley Racher & Braun, LLP where he has worked since 1999. Before attending law school he spent some time as a vet tech and a biologist, and he mentions that animals have always been an important part of his life. Brett is a Bloomington native and he and his wife, Lori, currently share their home with three rescue dogs: Gator, Boomer, and Lilly. Brett has been volunteering with Paws & Think since October 2013 and has been a member of the Board since February 2014. As the Board President in 2015, Brett looks forward to continuing and expanding the work of Paws & Think through its many and dedicated volunteers. His primary goal is to communicate and achieve the strategic goals identified by the Board and the Executive Director and help ensure that all members of Paws & Think remain focused on an active pursuit of our shared mission. Brett notes that one of the things that drew him to Paws & Think was the concept of pairing shelter dogs with vulnerable youth to the mutual benefit of both through the Youth Canine program. One goal for this year is to refine and document the benefits of both the Youth Canine and the school reading programs. In order to achieve this and other important goals, the organization will need to focus on finding and training new volunteers as well as empowering those who are already involved with Paws & Think to step into more leadership roles. In addition to chairing monthly Board meetings and facilitating the business of the Board, Brett likes to stay involved in the day to day activities of the organization. 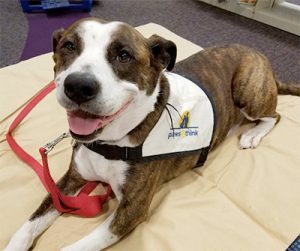 He sometimes substitutes at the Reading Buddy and Youth Canine programs and hopes to team up with his 8 month old Bernese Mountain Dog mix Lilly as a therapy dog after she recovers from a recent surgery. Brett fondly remembers a particular day at the Youth Canine program where a very excited canine team member greeted him by enthusiastically “watering” his shoe and pant leg. Brett cites the comedy of the moment as well as the living lesson of the importance of patience as one of the experiences that keeps him engaged with the wonderful work of Paws & Think.